Often regarded as one of the oldest and most powerful of all symbols, the skull has been used in the art for centuries, but it has gained immense popularity only recently. Formerly a mark of decay and mortality, its meaning has been dramatically shifted throughout time adopting the meanings like commitment, vanity, rebellion, and even mystery and beauty. The great example of the changing perception of a skull is the work by Jacky Tsai, a prominent Chinese artist, and creator of Alexander McQueen’s iconic skull motif which became a world phenomenon. 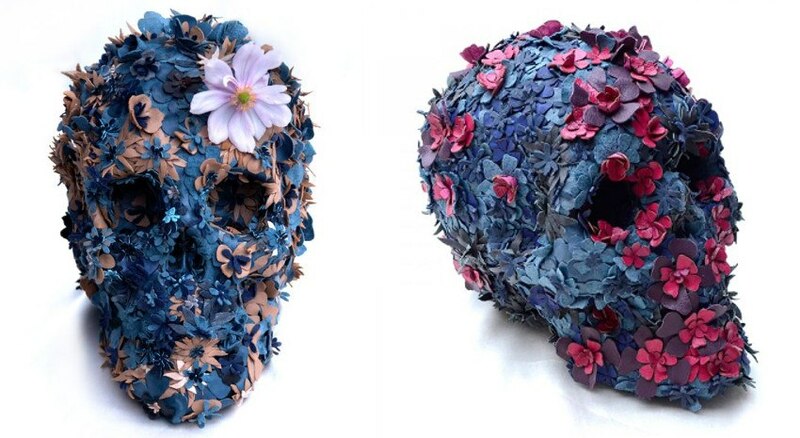 Tsai’s delicately designed floral skulls remind the viewer to live life to the full and enjoy. A dynamic artist was born in the city of Shanghai in 1984. A product of the post-1980s generation in the country’s biggest city, Tsai grew up in a creative, open environment, where he was greatly influenced by Western culture, especially by such artists as Andy Warhol and Roy Lichtenstein. He obtained his BA at the China Academy of Art and relocated to London for his Master Degree in Central Saint Martins. After graduating in 2008, he decided to pursue his career in England’s capital and began an internship at a British fashion designer and couturier Alexander McQueen that would change his trajectory as an artist forever. The same year he designed a textile pattern for McQueen’s spring/summer menswear collection featuring the motif that will make him famous – flower skull. Although his first project in the fashion world was a great success, Tsai decided to devote himself to art and began to create sculptures, installations and 2D work. Tsai’s mixed background has helped him to create a colorful and thoughtful fusion of traditional Eastern craftsmanship with contemporary Western art. 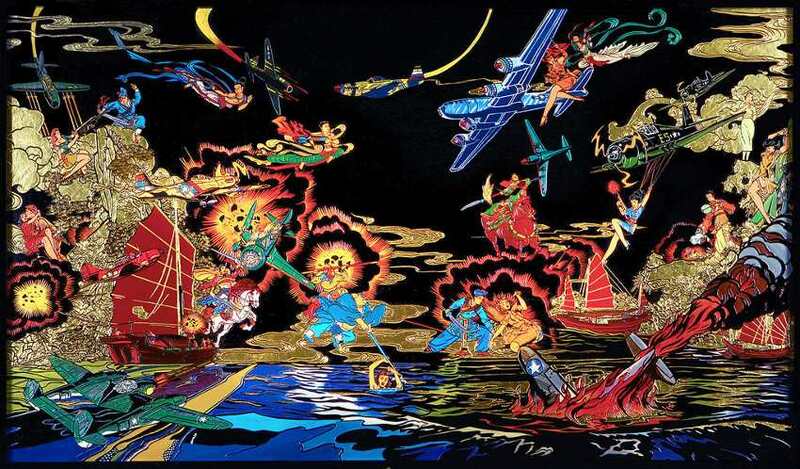 Looking at his work it could be said that he created his own Chinese contemporary pop art. Inspired by floral and colorful graphics, his artworks are created with a lot of creativity. With his famous “Skullptures” — as Tsai like to call his skull sculptures — and illustrations, he mixes the morbid with the ornate. The fact that a death and any representation of it are much more taboo subjects in Chinese culture than in the West inspired Tsai to promote the beauty within the symbol of a skull. Craniums imbued with flowers, birds, and butterflies, all representing rebirth and regeneration are a reoccurring theme throughout his oeuvre. Fusing culture and imagery with technique and textile, Tsai has an advanced and original approach to traditional materials, producing his highly recognizable, lavish and skilled works. Tsai’s debut solo show in 2010 proved to be a success, and it was followed by the exhibitions in New York, Singapore, and Hong Kong. His more recent solo show was on display at The Fine Art Society, London, in September 2015. 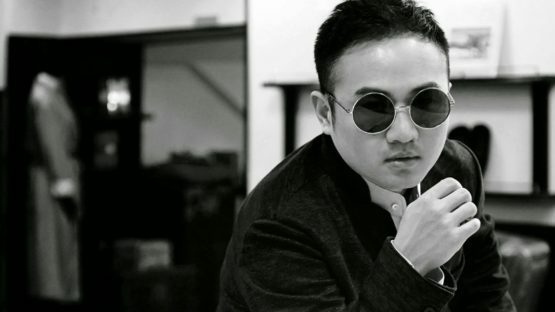 In 2011, Tsai launched his own fashion label, simply named Jacky Tsai, which sees him fusing high art with fashion. He has collaborated with high-profile brands such as Harvey Nichols, Lane Crawford, and Shanghai Tang. With a keen interest in fashion, textiles and art, Tsai has made a reputation for himself both in the United Kingdom and abroad. Flawlessly floating between the fashion and art world, he continues to bring his vast experience in fashion to his interdisciplinary art projects, creating the unforgettable pieces that provoke the viewer’s thoughts about mortality, fragility, decay, but also about life, beauty, and joy. Tsai is represented by The Cat Street Gallery. Jacky Tsai lives and works in London.